Summer zucchini, the simple green squash with so many uses. 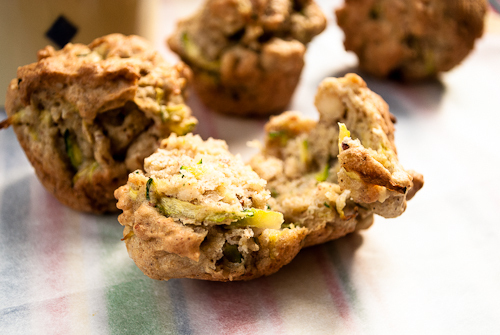 I happen to love zucchini muffins, and I love making them mini. You can eat a lot of them without feeling guilty! These little gems are gluten free, I know what you’re thinking, they must taste like cardboard, but you’re wrong! These are moist and loaded with flavor…. You will need some of the specific gluten free flours. I buy mine at Bob’s Red Mill. It’s much cheaper there than at your grocery store. They have everything there in bulk or in bags, so if you don’t want to go all out and buy a ton of flours you may not use later, you can buy them in bulk to try it out first. But after you make these, your opinion of gluten free foods will probably change. The secret to these muffins being so moist is the maple syrup. 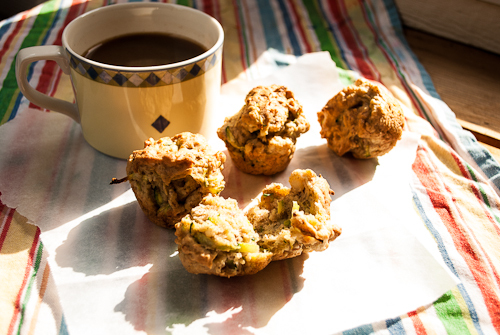 Grab your zucchinis ( you know you have loads of them in your garden) make a fresh pot of coffee and get to baking for some amazing breakfast muffins! Morning coffee and mini muffins on a summer morning, a great way to start off the day! Moist mini muffins, ready to be devoured! 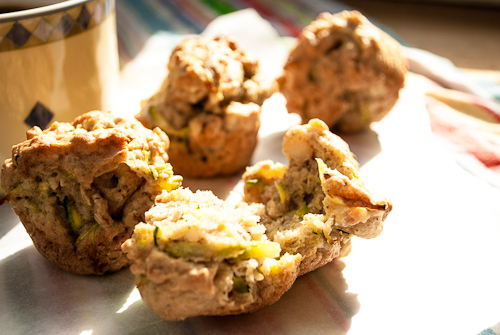 What is your favorite dish to make with zucchini? In a large bowl, mix flours, spice, xanthan gum, and baking powder. Add maple syrup or honey, olive oil, eggs, and vanilla. Mix well. In a greased mini muffin pan, fill 3/4 of the way full. Batter will be slightly lumpy and sticky- no worries! Bake at 350, for 15-20 mins.